PDL 147F Metal recessed wall mounting box 100mm x 52mm x 45mm deep. Fire rated for one and two hours. 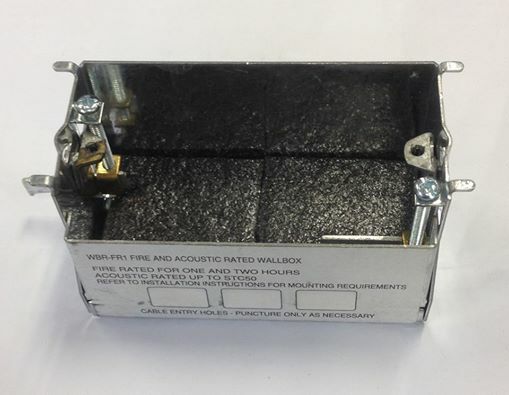 Acoustic rated up to STC50.This product is identical to the Clipsal 157/1F wall box.